The CRS309-1G-8S is a very compact, yet powerful networking switch. SFP ports: 8. 10/100/1000 Ethernet ports: 1. Serial port: RS232. Product code: CRS309-1G-8S IN. PoE in: 802.3af/at. Size of RAM: 512 MB. 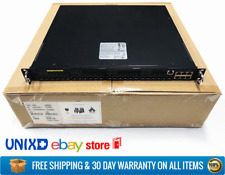 Arista 7124S, 24-port L2/3/4 switch, front-to-rear airflow, 600ns latency, 760W AC power supplies. Arista DCS-7124S-F w/ Dual AC Power. Network Hardware Depot. Can't find what you're looking for?. Unsure if this is what you need?. 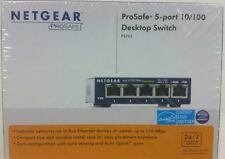 Description: This is a mini network switch. It has 5 port, which are more convenient to use. The transmission rate can reach 10Mbps/100Mbps. Full/half duplex adaptive port, 10M/100M dual speed self-adaptation. Plug and play, no driver is required. .
POE port output power: 15.4W/30W IEEE802.3af/at. POE transmission wire core: 4/5 , 7/8- pairs. POE connection standard: IEEE802.3af/IEEE802.3at. Indicators: 1 x Link/Act and POE per port, 1 x Power indicator per device. Trending at C $33.52eBay determines this price through a machine-learned model of the product's sale prices within the last 90 days. 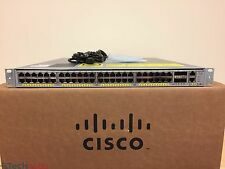 Model Number :CISCO WS -C3750X-24P-S. 1YEAR WARRANTY. Quantity Available: One (1). Quantity: ONE (1). 1 Rack Mount Kit. Trending at C $414.66eBay determines this price through a machine-learned model of the product's sale prices within the last 90 days. 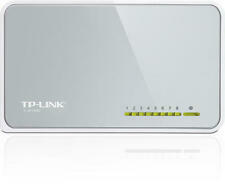 For sale is a Fortinet FAP-221B-A PoE 48V 802.11 A/B/G/N - DUAL BAND WAP DML. Fortinet FAP-221B-A. Local pick up is available and always free.